People sometimes ask me how difficult it is to review art books. After all, there's only so many ways to say a picture is lovely. Luckily for me though, the art books I get to look through from Titan Books are so much more than just a collection of pretty pictures and this one, about the concept art of Fred Gambino, is no different. 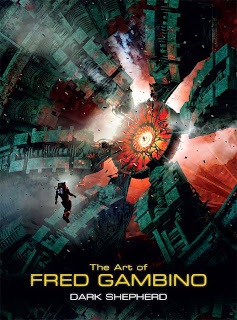 I must admit that I didn't recognise his name when I was offered the book of Fred Gambino's art, but the cover image for the book was so striking that I was keen to get to know his work. And sometimes you CAN judge a book by its cover. The artwork inside is even more stunning. Gambino has moved from being an artist and illustrator working in traditional media to one who creates artwork digitally as an illustrator and concept artist for the film industry. 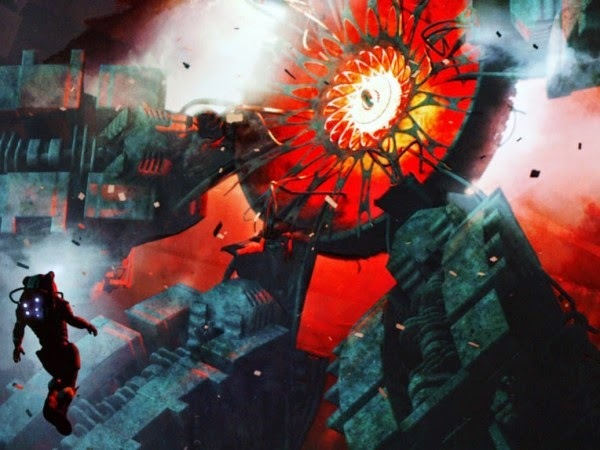 Concept art is when a vision is realised, the "how something will look" moving from ideas and written briefs into much more developed visual media in the form of sketches and finished paintings of characters, costumes, props and landscapes. In order to do this, Gambino sometimes merges CGI, photographic textures and 3D modelling as well as from scratch painting to create artwork that not only shows off a single angle of a person or costume but can be rotated and posed. However, it is his fantasy artwork where Gambino's artistic flair really shines through, especially if he has been given a more free rein to do them with. I already mentioned the cover image of the book, the magnitude of the spaceship being beautifully illustrated by the spaceman floating at some distance from it. It takes a lot of talent to be able to portray such vastness in a 2 dimensional image. His work on mythical beasts too is well represented in this book, with a section on dragons and on his concept art for Star Beast, originally a Robert Heinlein novel, which may be adapted for film. The mythical landscapes he creates too are definitely worth a mention as they are reminiscent of Roger Dean, who did a lot of album cover artwork for the prog rock band Yes, and the swords, that staple of the fantasy artist, are beautiful beyond compare. But as I said at the start, art books from Titan Books are about more than just pretty pictures, although they are indeed very pretty. As well as working notes and insights by the artist into how and why certain images were created, there is also a short script, written by Gambino himself, telling "his story"; not an autobiography but a work of fiction, because everyone in Hollywood has to have a story that they're working on. 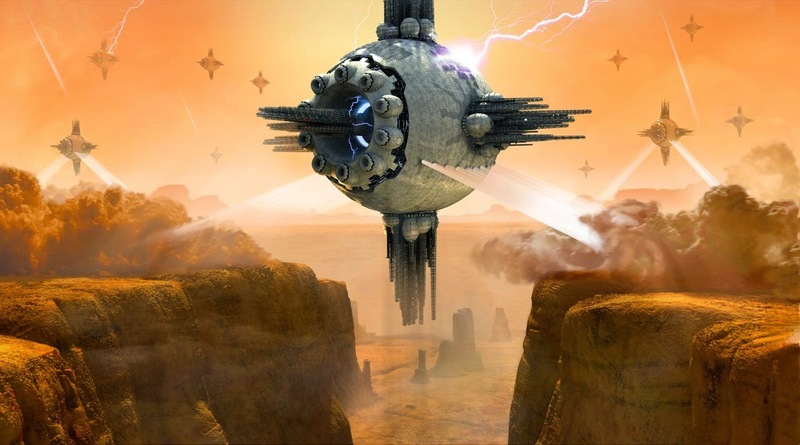 Gambino's story, "The Dark Shepherd" that this book takes its title from, is space-based science fiction and, even if you read the script in isolation, you would be able to tell that the writer is an artist because the dialogue is minimal and the environmental descriptions are very vivid. It is from this story that the striking cover image is inspired. If not a film, the script would translate incredibly well into a graphic novel and, indeed, there are a few pages of the book devoted to this. I hope that someone gives him the time, or the money, to continue with it. But it is the art, the beautiful, sumptuous fantasy art for which you will buy this book. The richness of colour, the intricacy of detail, it is all almost overwhelming. If you cannot wait to see the work from this book, and others of his, visit his website which I found in researching more about him - www.fredgambino.co.uk and you will see what I mean.